By this useful Article I guide you that how to verify Blogger Blog and submit Blogger Sitemap in Google Search Console "Webmaster Tools", it is best SEO Tips and Tricks for blogger. You can add Blogger sitemap with new techniques and also better guide about submission of Blogger Sitemap to Webmaster tools. Sitemap is very important for Blogger, because Blogger Sitemap Introduce blogger posts to robot.txt. I introduce some opinions and ideas to the beginners about this new procedure. I think the procedures of manually to add Blogger Sitemap to Google Webmaster Tools is very profitable and also Bing Search Engine and Yandex Search Engine. This will prove indexing system for Blogger Blog URLs in Google. You can update your new contents if your all pages indexed. Open Google Webmaster Tools through your Google Account and goes to URL www.google.com/webmaster tools after that add full URL address of your Blogger blog and then press "Add Site" button. After that you will be given four options but you have not access to the server on Blogger blog you will need to choose the option “Add a meta tag to your site's home page”. Now choose verification method select the Meta tags. After that chose Meta Tags code through the command (Ctr+C) copy the code and then sign in your Blogger Blog and go to Layout menu follow the “Edit HTML” now press command (Ctr+V) in the "Head Section" and paste the code carefully. Formerly you have positioned the correct spot and then click on the "Save Template" button to update your Blogger Blog. To avoid any mistakes you might consider backing up your template at any place of your Computer. After pasting the code in blogger "Head" section and now return back to Webmaster Tools and click on the “Verify button" under the page in the “Dashboard" "Verify a Site” and now you will be confirmed that your Blogger blog has been verified by Google. You can see verify button in red color for more information see the picture has given below. In my experience the pages site is not necessary because, blogger used all posts on Home Page, if you are well aware about static pages, you you can use it. I advice that do not use Pages site map and use your pages only for introduce, such as About us, Contact us, Privacy and others, such Site maps are not suitable, because you can be submit your main posts only, and I have tested that pages site map are creating confusion in robots.txt. If you are using lot of static pages and you want to submit pages site map to Webmaster tools, submit pages site map as per following procedure. Now I discuss very important new procedure that how to submit Blogger Blog site map to Webmaster Tools. Now you have verified Blogger Blog as per above procedure and then submit Blogger Site map. 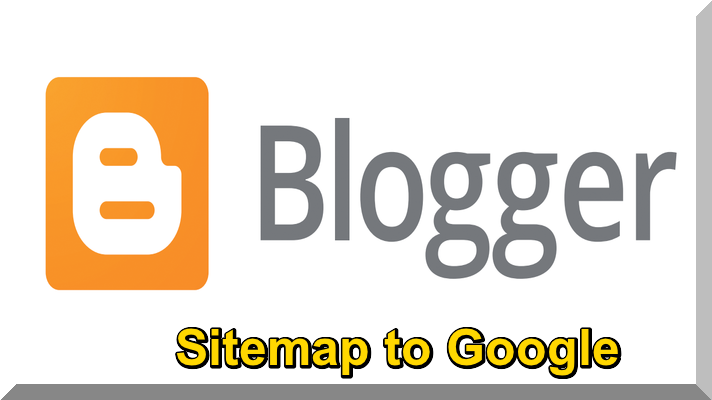 Now you are ready to add your Blogger Site map to Google Search Console "Webmaster Tools" no problem this is very simple procedure your Blogger Blog Site map will be "site map.XML". Now add URL of your Blogger Blog or your custom Domain look like following line. In light of above Parent "site map.XML" included your 20 pages Site map, it will be indexed only 3000 posts after that you can use pages Site map for example you have posted 3000 posts means 150x20=3000 such as you can add now further site maps for 150 posts, after that when you completed 150 posts use separate 150 posts Site map as per following procedure. In view of above, I advice you that test "robots.txt" in Webmaster Tools, it is working properly. After submission of Site map to Webmaster Tools it is good practice. if you have original contents. If you want to quick index blogger posts you can use very useful tool "Fetch as Google" this tool is available in Webmaster Tools Crawl Section. Please wait Google will not index all your posts quickly but it will take time I think it goes to more months. If you like this procedure please leave your comments.